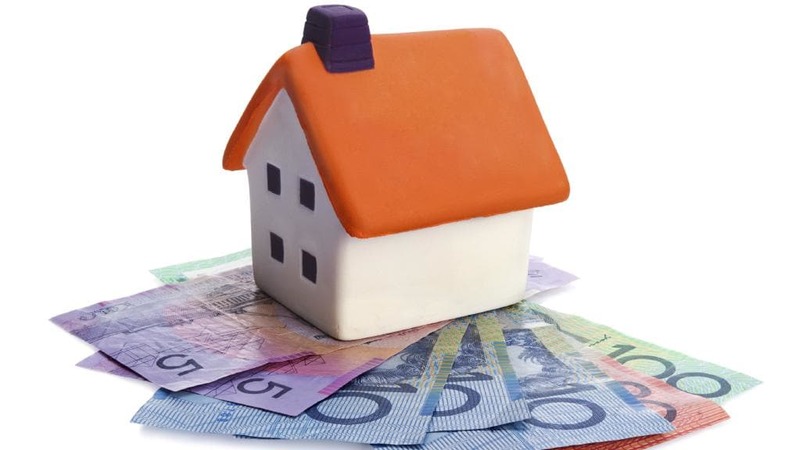 Home financier Sentinel Homes has broadened access to home finance with the launch of an alternative financing model to traditional home loans. “One of the biggest problems many people face is access to finance to buy a home,” said Renier Kriek, CEO of Sentinel Homes. “Although they may be able to afford monthly home-loan repayments, they struggle to get a home loan from a bank because they are self-employed, freelance, are foreigners or foreign income earners, have no credit record or are expatriates. Sentinel’s model is based on instalment sale finance, the same concept used to finance motor vehicles and other movable consumer goods. By innovatively applying the concept to provide home finance, buyers can obtain finance of up to 95% of the purchase price of a home. The buyer pays a monthly instalment for the duration of the repayment term, comprising the interest due on the principal, a portion of capital and a monthly service fee. Interest is levied at competitive interest rates linked to prime. Unlike with a bank home loan, Sentinel remains the registered owner of the property until the final instalment is paid. This has no practical effect on the homeowner as long as the instalments are paid. If the buyer defaults, an arrangement must be made with Sentinel immediately to address the arrears. Although Sentinel amortises the total amount financed over 240 months, the balance is due in full as a balloon payment after 120 months. Homebuyers can settle the balance either with their own capital or a bank loan, or they can sell their home. It may also be possible to extend the loan from Sentinel. If a homebuyer defaults on instalments due to job loss, illness, death or other unexpected reason, the home can be sold to settle the finance and the remainder is paid to the buyer. Homebuyers are encouraged to take comprehensive insurance to ensure instalments can be paid if an unexpected life event occurs. To qualify for Sentinel’s financing, the buyer needs a good credit record and secure financial situation. The instalment must also be affordable. The home being purchased must fall in the R500 000 to R2,5 million price range, and be a single title or sectional title home in the Western Cape. Financing across the country will be rolled out in due course. 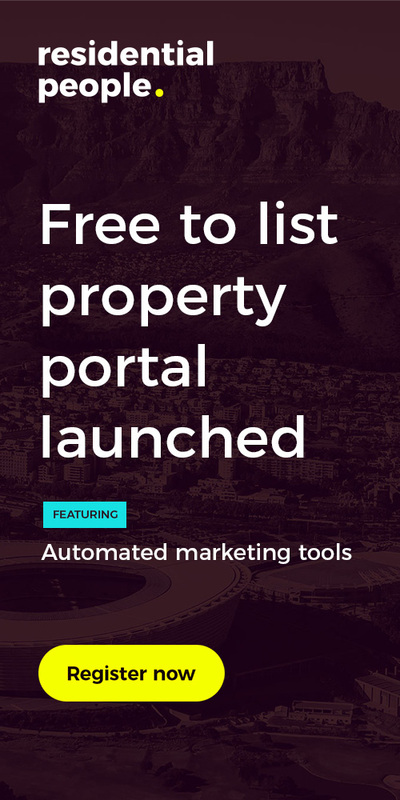 Properties financed by Sentinel can be let with the company’s approval. Sentinel also approves tenants’ creditworthiness and rental affordability to protect both the home buyer and the company. “Sentinel is financed by investors and South African banks, who perform stringent financial checks before providing finance. The company therefore consistently operates on a financially sound base,” said Kriek. In addition to complying with the National Credit Act, as would a bank/mortgage provider, Sentinel also complies with the consumer protection framework codified in the Alienation of Land Act. “With these safeguards in place, buyers are assured that their homes are secure, no matter what happens to Sentinel,” said Kriek. 1. Mr A needs finance to purchase a home worth R1 million. 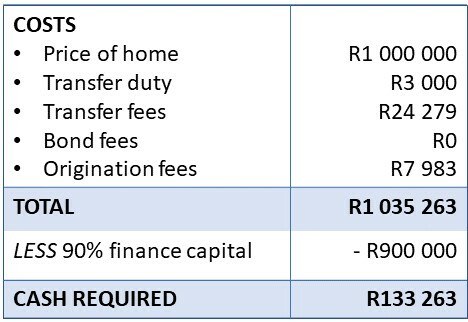 Assuming Sentinel Homes approves a 90% home loan, the cash Mr A will require is R133 263. 2. Ms B would like to purchase a home for R2 500 000. Assuming Sentinel Homes approves a 90% home loan, the cash Ms B would require is R400 985.